Today BANDAI NAMCO Entertainment America Inc. and Primal Game Studio have announced that their action-packed Multiplayer Online Battle Arena (MOBA) with Real-Time Strategy elements game for PC, Supernova, is now entering its open beta phase. All players are now able to jump in and command their armies in an effort to become the superior faction and ultimately control the galaxy! 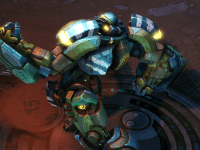 After several closed beta phases and collecting player feedback and data to enhance the user experience, BNEA and Primal Game Studio have continued to evolve and grow Supernova into the ultimate MOBA that requires both strategy and skill. To celebrate the open beta, two new commanders will be joining the ranks: Zan-Kir and J.P. Zan-Kir is a master of martial arts and can unleash powerful techniques to manipulate the flow of battle while J.P. is equipped with deadly missiles, powerful lasers, trap mines and state of the art radar that will destroy everything in his path. In addition, players will also be able to enjoy new skins and improved gameplay features. 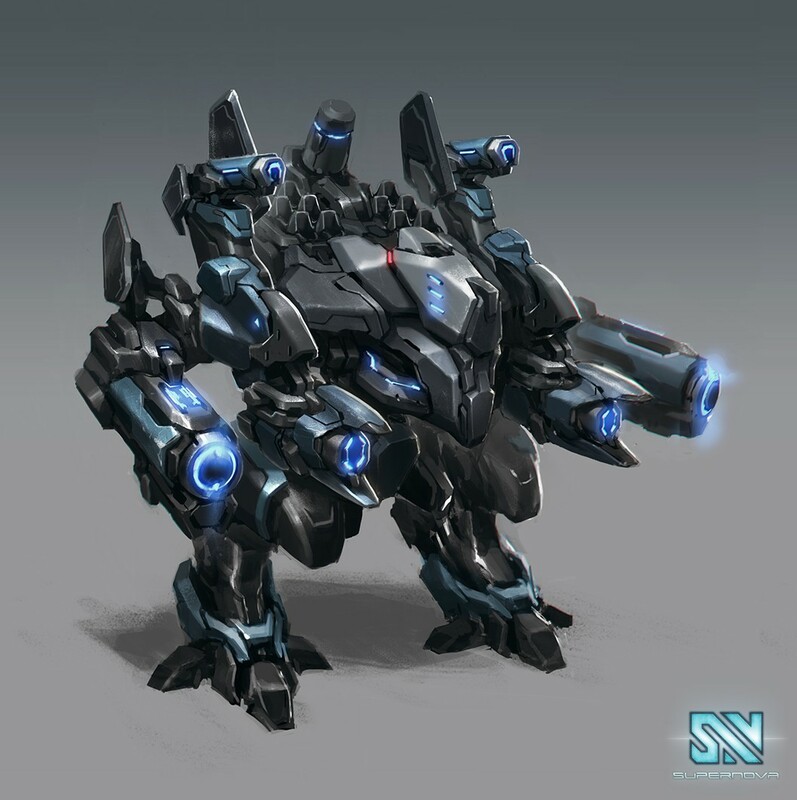 Supernova will also be seeing a new aesthetic feature called Environments, which allows players to choose the backdrop for their battle prior to entering a match. Currently, there is an arid Desert environment and a lush Jungle environment that can be selected. In Supernova, players venture into an interstellar arena where they must fight as commanders or aliens in order to save their species from extinction. 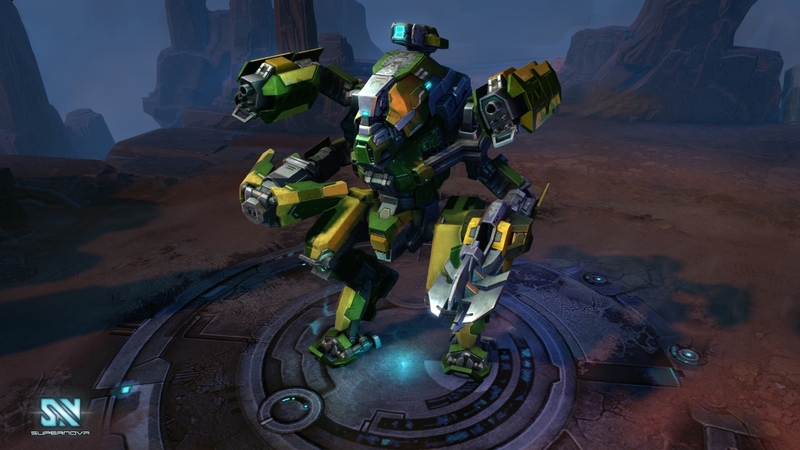 The brilliant graphics, unparalleled galactic worlds, exciting combat and the slew of characters give Supernova a refreshing take on the MOBA genre. 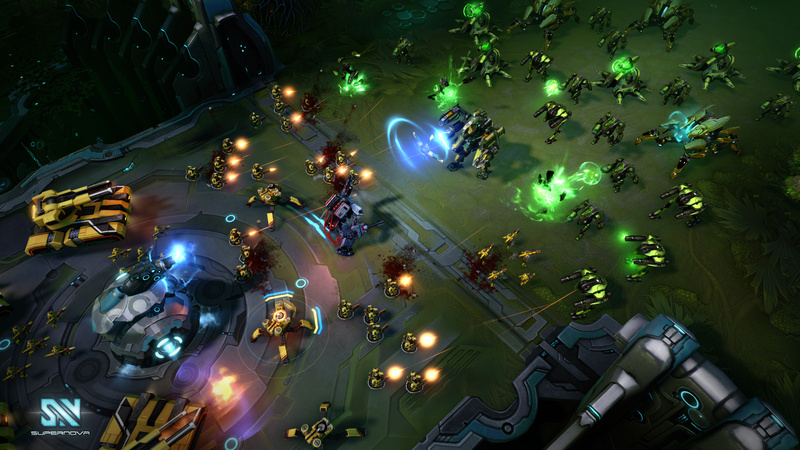 Players also have the power to control what minions — known as forces — push down the lane towards victory, meaning the player is in total control of what they want to send crashing into the enemy. 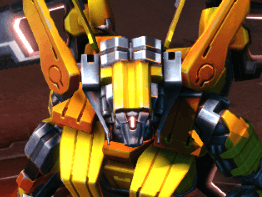 Editor’s (DizzyPW) Note: As a site that has followed Supernova closely from the earliest alpha phases till now, we can attest to the claims above as being more than marketing fluff. This MOBA is highly underrated for the amount of innovation and high production value it brings to the genre. Now that limitations on playing are finally gone, be sure to jump in and give it a shot!